Looking to go a blonde ombre? One of the newest trends in blonde locks is crystal ash hair. It starts with an ash blonde at the top and leads into iridescent lightest blonde ends that look like, well, crystal. Like tortoiseshell hair, it’s a very gradual look. The lightest tones start in wispy highlights near the top and gradually come to dominate the hair the farther down the strand you go. This look is fairly uniform, but that’s not to say there aren’t subtle choices you could make. Some looks opt to start with a bit of a darker ashy blonde, while others start a bit lighter. Some of the highlights also incorporate a bit of yellow, while others remain more platinum throughout. Another look is to start brown, lead into ash blonde and finish platinum at the tips. Depending on how ombre you want the look to be, you could also leave the platinum more wispy at the ends, or go completely platinum farther down. Again, since this look is so nuanced and subtle, you may want to consider going to a salon for this look. If you’re starting with dark hair, you’ll need a ton of lightening, and that can be very damaging if it’s not done exactly right. Ash tones also must be added or maintained, while making the ends the lightest blonde possible without nuking the hair. If you’re a home hair bleaching expert, however, you could try beaching your hair with a product called Hbleach, which is an organic product made with kaolin and kukui butter. It’s a way to keep locks looking silky and healthy even after lightening. If your hair isn’t too dark (a couple shades around ash blonde), another option is to invest in a home bleaching kit to minimize screw-ups and an ash blonde dye. Dye the length of your hair completely ash blonde. You may need to wait before you apply bleach to minimize frying hair, and make sure you deep condition in between. Follow the directions on the bleaching kit, and always do a strand test first. 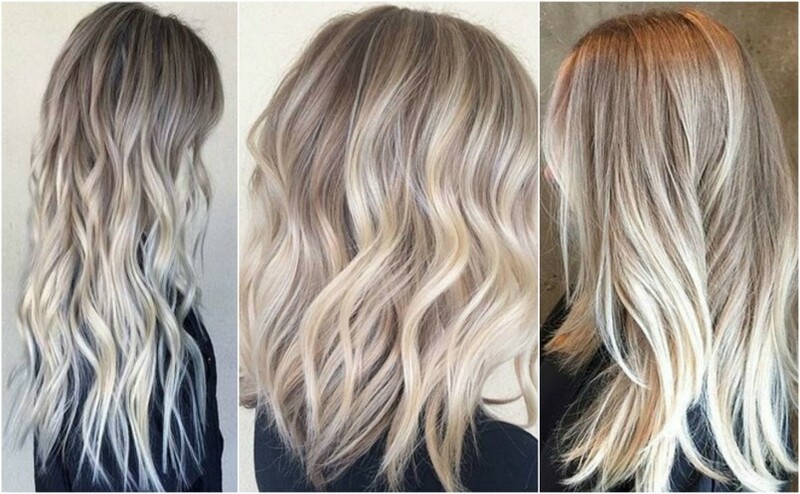 When ready, bleach the ends to a platinum shade, starting with sparse highlights near the top and leading into a more pervasive lightening effect as you go down. To keep this highly specific blonde look healthy, make sure to regularly deep condition, especially right after dying and bleaching. Blonde hair in general should be kept up with protective UV spray (since blonde hair is prone to changing color and drying out in the sun more). Also, you may need a purple shampoo to keep any brassy tones in check.